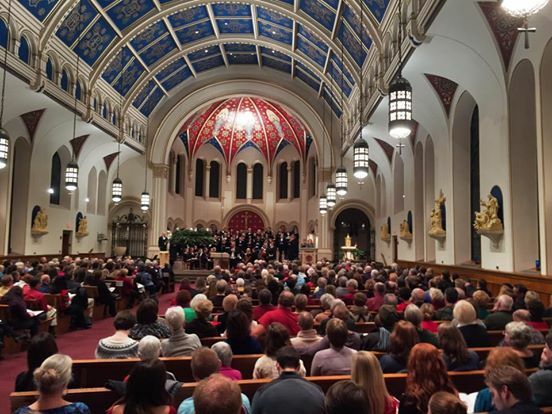 This sold-out concert was held on Saturday, December 13, 2014, St. Ambrose Cathedral, Des Moines, and featured a performance of Bach's Magnificat and compositions by several of DMCS's own singers. 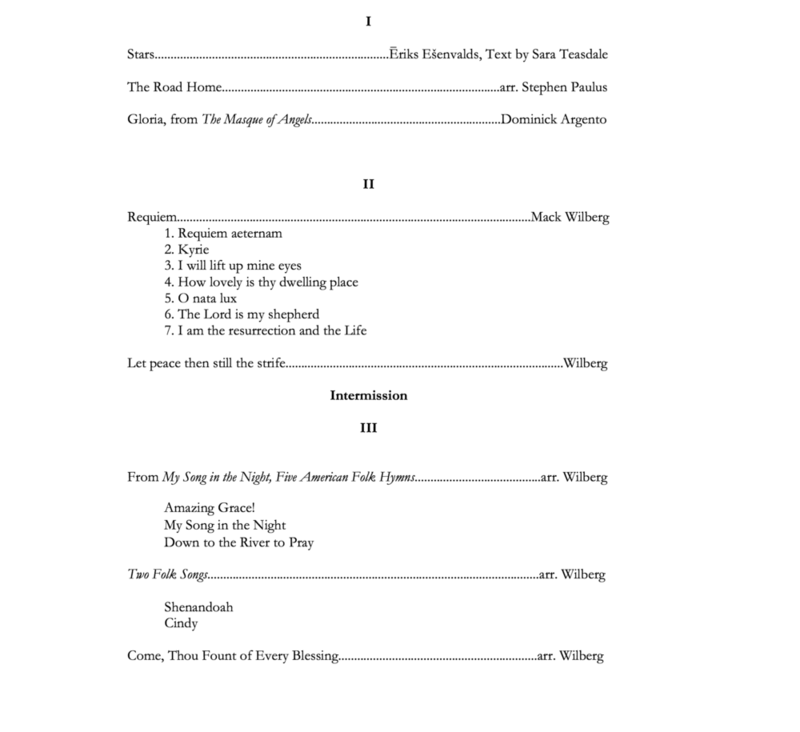 Photos and program excepts below. Perhaps the most beloved setting of Mary’s Song, the Magnificat, is by J.S. Bach. It serves as the centerpiece for our concert. Each weekly rehearsal of the work has been energetic, intellectually stimulating, and fulfilling to sing. I am pleased we are able to share with you this marvelous work. 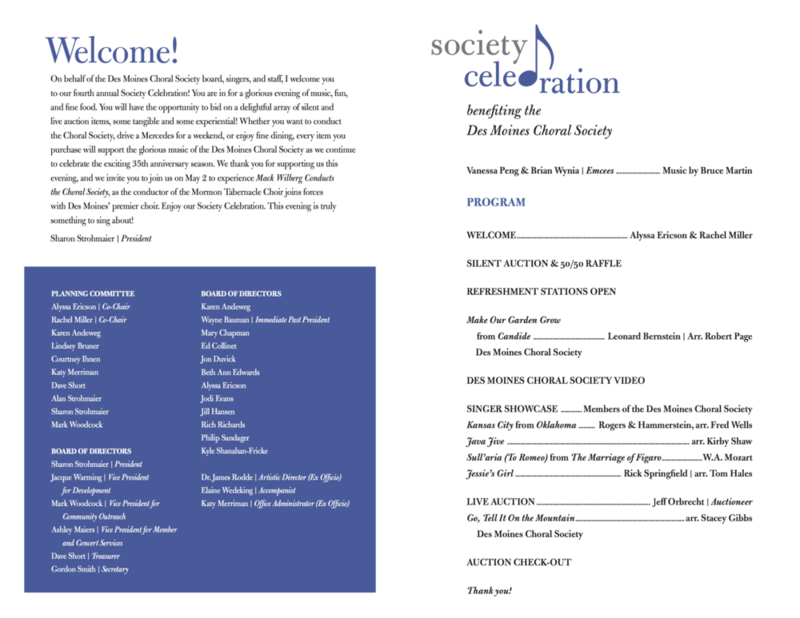 Through its solo movements you will also get to know some of the wonderful individual voices that make up the Des Moines Choral Society. In the makeup of the choir as well, are talented young composers. 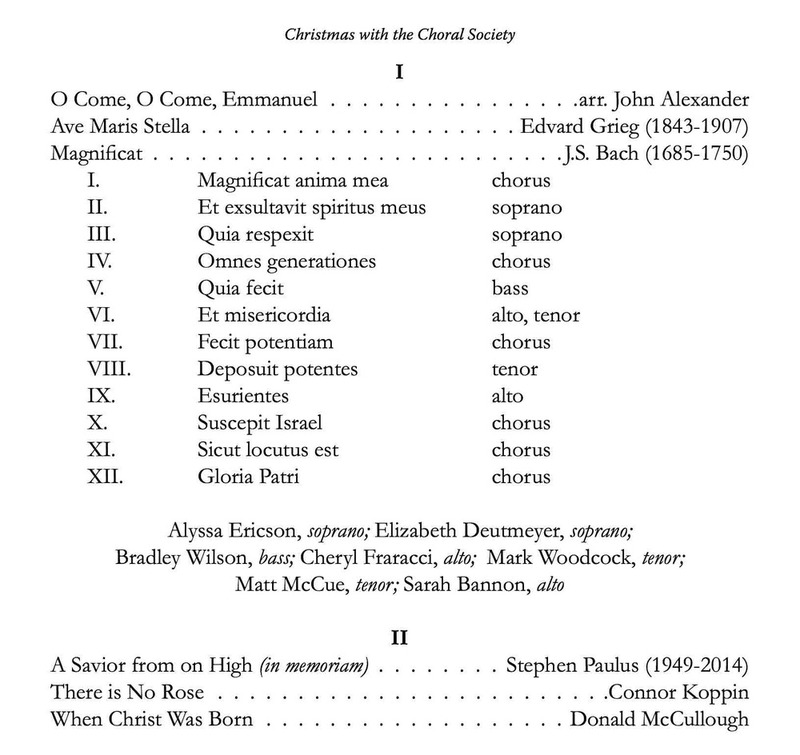 We’ll feature new compositions by Elaine Hagenberg and Connor Koppin, both members of our choir and choral music educators. We are also pleased to sing compositions by masters of the past: Grieg (Norway), Gretchaninoff (Russia), and Howells and Vaughan Williams (England). And finally, this year’s highest bidder at the 2014 Choral Society Celebration for the opportunity to conduct at this concert, will lead the choir in Handel’s Hallelujah Chorus. 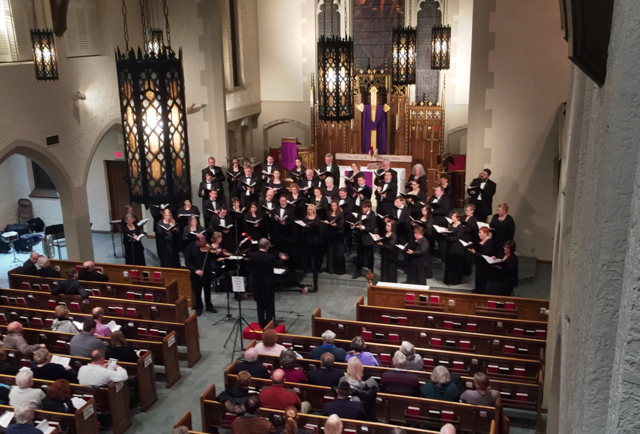 Thank you for being here and supporting the wonderfully talented people who make up the Des Moines Choral Society.